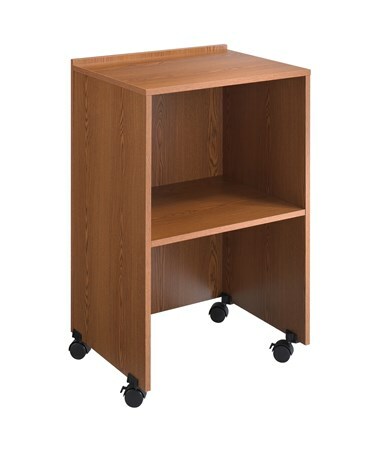 The Safco Lectern Base/Media Cart is a versatile piece of furniture that can cater to any office and presentation needs. 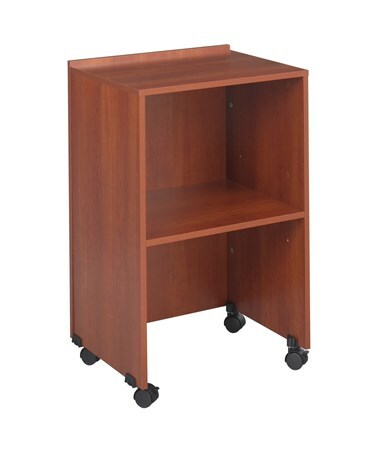 It features a design that allows it to be used as a media cart and a podium for a presentation stand. It has two shelves that can hold up to 50 pounds each and the lower shelf can be adjusted in four-inch increments. Four dual wheel carpet casters allow this podium to moves smoothly on any surface and two of these wheels can be locked. This base is made of furniture-grade particleboard with a laminate finish that makes it stain and scratch resistant. It is easy to assemble with the cam-lock fasteners. 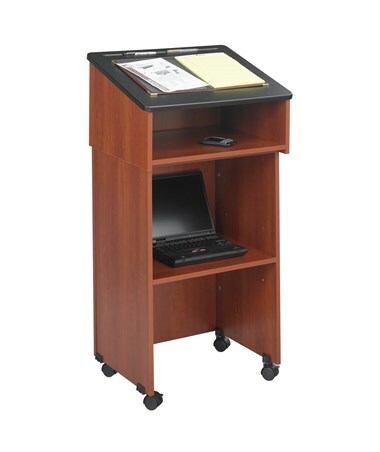 This base perfectly complements the Safco Lectern Top (8916) to form a 45 inches high mobile lectern. 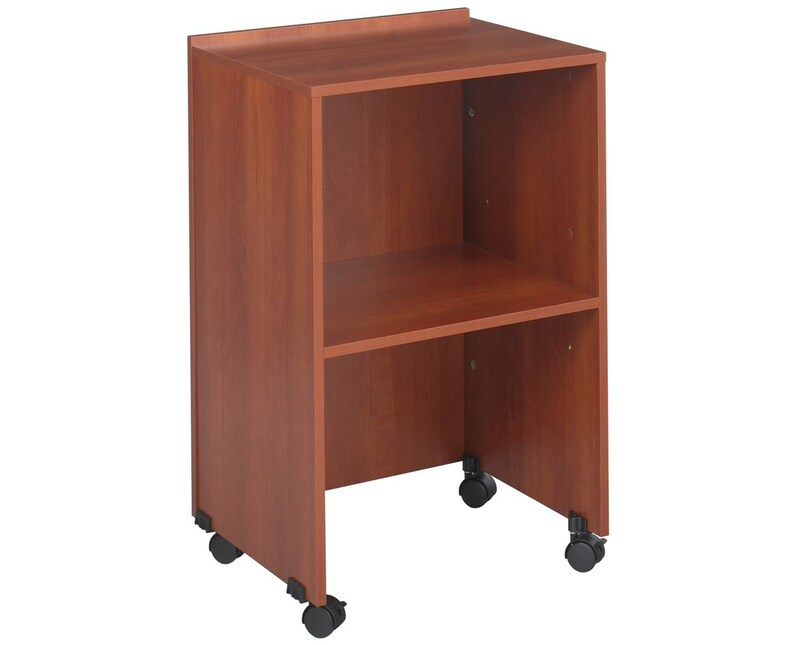 The Safco Lectern Base/Media Cart is available different colors. Please select your preference from the choices above.